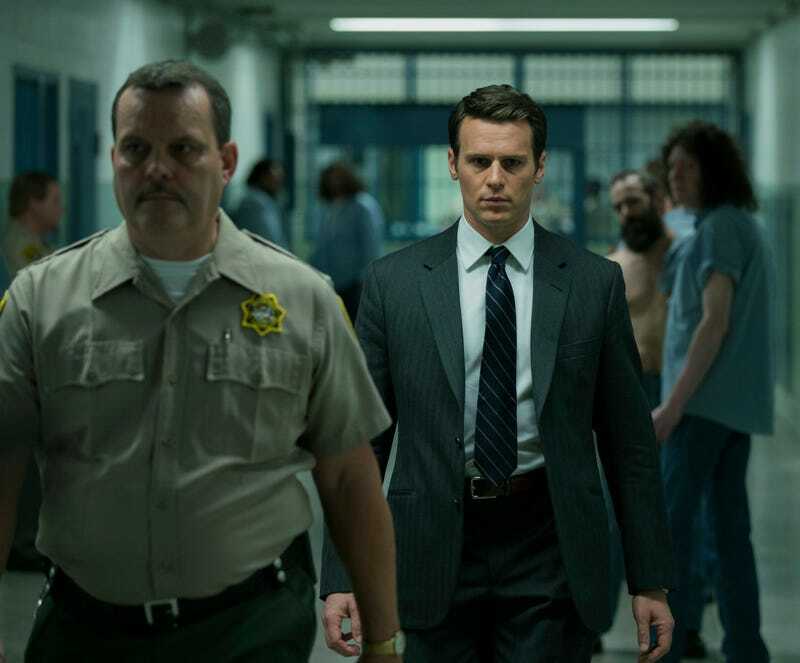 Mindhunter (Netflix, Friday): Quick: From the title alone, what do you expect the TV show Mindhunter to be about? A literal translation, in which elite sportspeople are gathered on a remote island to stalk the most dangerous game: The human brain? A procedural about an investigator who uses psychic powers to climb into a suspects thoughts—so, basically, Thought Jacker from the closing-credits gag of Community’s “Basic Sandwich”? Or the true-crime book by John E. Douglas, the retired chief of the FBI’s Investigative Support Unit? It’s the last one, and the first two, David Fincher-directed episodes—which play like Fincher returning to one of his taut big-screen crime thrillers and spacing out the story beats in fascinating, hypnotic fashion—make up for any dumb joke you could make about the title. (For example: It’s also the name of a crossover event that put two of the ’90s’ most outrageously costumed comics protagonists in the paths of a Predator and a xenomorph.) And really, are you going to question the judgment of the guy who Thomas Harris based Jack Crawford on? Once you get over yourself and actually watch Mindhunter, Sean T. Collins has some recaps for you to read.